Here is the reason why the Dallas TX area is thriving and growing every single day: it is a great community to settle into. It is different than Austin, more central than San Antonio, and close enough to neighbor states for a weekend vacation away. The Dallas area is a pretty great place to call home. Unfortunately, when settling your family in a larger community, this means sometimes you have to deal with lice, or even “super lice” and be in need of head lice treatment and removal. Super Lice Treatment in Dallas that the School System Trusts! Because so many kids go to school in Dallas, Dallas lice treatment is a harsh reality. Too often, children come home to their families with lice they have acquired from another child at school. It is just a fact of life in this busy city. However, that does not mean you have to live with it. Instead, visit either our Frisco treatment center locations and get rid of lice for good. Schedule a Head Lice Removal Appointment in Dallas TX with the Right Local Team – Lice Lifters. Schedule an appointment at the Lice Lifters DFW Treatment Center for you and your family to receive thorough treatment of lice and nits. Following the treatment, you and your family members must continue the treatment at home with after-care. This seems daunting, but it is worth it for a full eradication of lice. If you do not seek the proper Dallas lice treatment and use the wrong product for your family’s pest removal, you could be spending months trying to get rid of pests that just won’t go away. Your children deserve the very best treatment options when it comes to a head lice infestation. 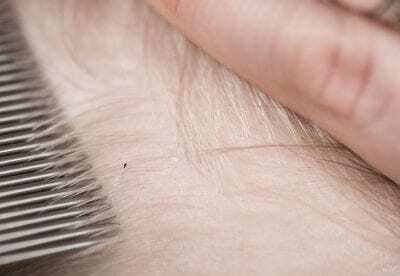 While not particularly dangerous, head lice can often cause extreme discomfort and an itchy scalp. To the unsuspecting child, that is more than enough to cause some panic when combined with an office setting. Don’t worry — our expert Lifticians will work to comfort your child while providing professional head lice treatment! At Lice Lifters Treatment Centers, we use completely safe treatment solutions. In fact, all our products are non-toxic, all-natural solutions that do not cause any further discomfort or harm to the scalp. As parents ourselves, we’ve had to treat our own children, too, using the same products and techniques offered in our treatment centers. When it comes to safe lice treatment in Dallas, trust Lice Lifters Treatment Centers for guaranteed results! The Centers for Disease Control and Prevention reports nearly 12 million cases of head lice throughout the country. Many of these reported cases stem from children ages 3 to 11. This particular age group has one thing in common: school or daycare. They are around other children daily and may easily spread head lice by sharing their items. Children who regularly sleep in the same bed as others, such as at a slumber party, may be more susceptible to head lice. While head lice cannot fly or jump, they can easily spread by crawling from one contact point to another — most often, the head and hair. While we may all take precautionary steps to help prevent head lice, it is nearly impossible to prevent the spread of head lice outright. At Lice Lifters Treatment Centers, our goal is to provide you with fast results. We’ve personally dealt with head lice in the past and have experience with the itch and discomfort you’re likely experiencing right now. Our expert Lifticians are available to provide you with relief. Our three-pronged treatment begins with a simple head check. This process will help determine the extent of your head lice infestation, and whether you’re merely feeling an itch because those around you are scratching their head or not. Sometimes, there are no lice, and that’s perfect! Once we complete the thorough head check, we move on to the expert comb-out techniques. Lastly, we apply our non-toxic, all-natural killing agent to kill any remaining nymphs and adult lice. The entire process takes just a few hours. Then, you’ll be lice-free, guaranteed, for up to one month after treatment. Lice are troublesome. Once an infestation begins, the discomfort can simply be too much to bear, and you want it gone immediately. We urge our patients never to seek over-the-counter products to handle their head lice. These products fail to solve the problem, and most are loaded with insecticides that cause skin irritation and further discomfort. They may help temporarily, but won’t permanently resolve your head lice issues. At Lice Lifters Treatment Centers, we utilize efficient treatment methods that are known to be permanent. For optimal results, it is crucial that you adhere to our treatment guidelines. After your in-office treatment is finished, we’ll provide you with a follow-up at-home treatment. Once it’s complete, we guarantee you will be lice free for up to one month after undergoing treatment with us. 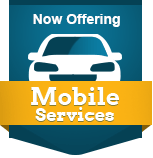 Lice Treatment & Lice Removal for our Dallas TX Area Neighbors. Pest and nit removal in Dallas does not need to be a long, involved, or frustrating process. Instead, Dallas lice treatment can be easy, hassle-free, and non-toxic. Your family can easily overcome this battle with the help of Lice Lifters DFW. Our proven method works to remove the lice and leave your family healthy.